Find the top free online browser MMORPG games list here. Here are some good no download MMOs that have 3D graphics. Drakensang Online – amazingly good 3D graphics and fun, classic RPG gameplay makes this game one of the top MMOs of 2012. Since its launch last year it has attracted over 10 million players, proof that Drakensang Online truly has what it takes to enthrall and entertain gamers who want a complete MMORPG experience without having to download or install anything. 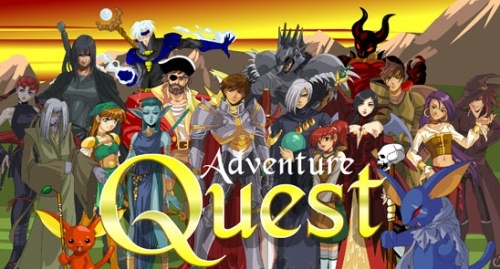 Adventure Quest Worlds – another very obvious choice as far as browser-based MMOs are concerned, AQ Worlds is a very popular title that is aimed at the casual gamer. Pirate Storm – amazingly addictive and easy to get immersed in, Pirate Storm is a great concept in MMO games that mixes pirates, sailing, monster-killing, ship-vs-ship PvP and role-playing. Very addictive and fun. Wartune – for something you can really sink your teeth into for a longer time, try Wartune. It’s a fun mixture of action RPG and city-building strategy gameplay along with some extras such as dungeons, world bosses, and even farming. Ultimate Naruto – a new browser MMO that is still in open beta. This game is based on the manga/anime series Naruto which means that it’s all about creating an awesome ninja character and fighting it out with other characters from the show, with all of you using flashy ninja moves. Ultimate Naruto is great fun for fans of the show and for casual players. Runescape – there’s no denying that Runescape is still number one. An older MMORPG, RS arguably started the whole trend of playing MMORPGs on your browser. Note: clicking on the website links will take you to the official website of each title. However, since these are not yet released, none are playable. Most are teaser sites that only have a little bit of information about the game. Pirate Storm forever! I play as Soelvish420. BSGO is a good game, however, it gets a tad too repetitive. Really only stick around for the friends that require help. Glad to see so many new options starting to pop up for Browser based games. For me, Pirate storm is absolutely the best. It is so much fun and I love being a pirate. I like playing Drakensang Online. this is your point of view about bettre browser games… darkensang is pretty good for graphics but for the mentality player 0..and runescape… no mean to put it in the list, so old game. It was i said : its only your point of view. Yeah but if we don’t put Runescape (which after all has the most number of players) then a lot of fan boys will be here flaming. RS is pretty old but it still remains popular. Drakensang is very good, IMO. Rs is da best so f u all 😀 !